With murders of the Melbourne’s elite on the rise, Gemma Woodstock reveals a shocking secret at the center of a tight-knit group’s rise to power. Troubled and brilliant, Detective Sergeant Gemma Woodstock finds herself lost and alone after a recent move to Melbourne, broken-hearted by the decisions she’s had to make. Her new workplace is a minefield, and the partner she has been assigned is uncommunicative and often hostile. When a homeless man is murdered and Gemma is put on the case, she can’t help feeling a connection with the victim and the lonely and isolated life he led, despite being in the middle of a bustling city. Then a movie star is killed in bizarre circumstances on the set of a major film shoot, and Gemma and her partner Detective Sergeant Nick Fleet have to put aside their differences to unravel the mysteries surrounding the actor’s life and death. Who could commit such a brazen crime, and who stands to profit from it? Far too many people, and none of them can be trusted. 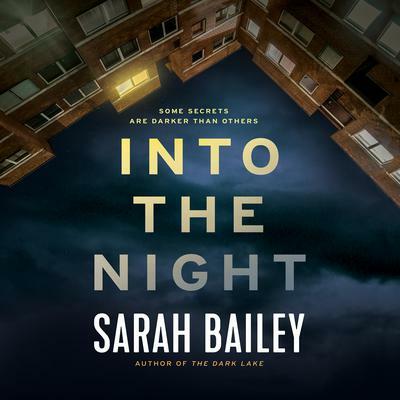 With riveting suspense, razor-sharp writing, and a fascinating cast of characters, Into the Night proves Sarah Bailey is a major new talent to watch in the world of literary crime fiction. With murders of the Melbourne’s elite on the rise, Gemma Woodstock reveals a shocking secret at the center of a tight-knit group’s rise to power. Troubled and brilliant, Detective Sergeant Gemma Woodstock finds herself lost and alone after a recent move to Melbourne, broken-hearted by the decisions she’s had to make. Her new workplace is a minefield, and the partner she has been assigned is uncommunicative and often hostile. When a homeless man is murdered and Gemma is put on the case, she can’t help feeling a connection with the victim and the lonely and isolated life he led, despite being in the middle of a bustling city. Then a movie star is killed in bizarre circumstances on the set of a major film shoot, and Gemma and her partner Detective Sergeant Nick Fleet have to put aside their differences to unravel the mysteries surrounding the actor’s life and death. Who could commit such a brazen crime, and who stands to profit from it? Far too many people, and none of them can be trusted. 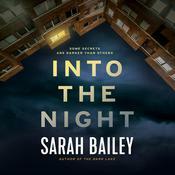 Sarah Bailey, a native of Melbourne, Australia, is the author of the Gemma Woodstock mystery series. She has a degree in journalism and a career in advertising.